My uncle Roderick Manson was plucked out of a family of seven in Takaka. My mother was the second eldest and took some responsibility looking after the younger ones. As a result, my mother and uncle had a close relationship and when Rod left home, my mother kept correspondence with him. Rod went to school in Nelson and joined the Navy straight out of college. He was quite a character. He was promoted a few times, but would then be demoted for one or another of his antics. By the late 1930’s, he was due to be discharged, but war broke out so he stayed on. He was posted to Achilles and was at the Battle of the River Plate. 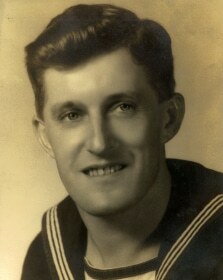 I never knew my uncle as a Navy man, but I always adored him. We lived not far from the sea in Motueka and I love the sea myself. I have become interested in the tactics of the Battle of the River Plate, of how the British ships separated, HMS Exeter going to one side of the Graf Spee and HMS Achilles and HMS Ajax going to the other. The Graf Spee focused her attention on Exeter first, because she posed the greatest threat with her 8 inch guns. This left her vulnerable to Achilles and Ajax and she was eventually forced to take refuge in the neutral port of Montevideo. 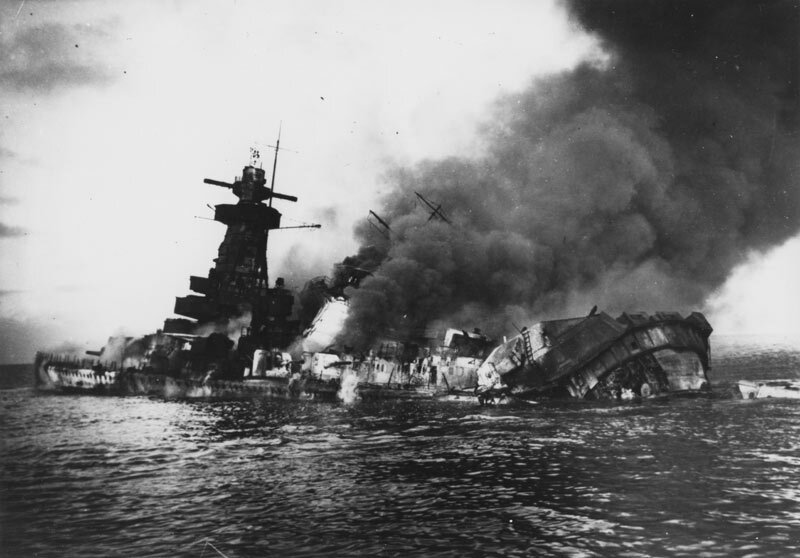 While in port, Captain Hans Langsdorff of the Graf Spee was directed not to allow the ship to be interned. However the port authorities would not allow him to stay long enough to fully repair his ship. Four days after the battle Graf Spee left the harbour. Nobody knew what to expect. It is said that approximately 200,000 people gathered along the coastline to watch what might ensue. Would there be another naval battle just off the coast of Montevideo? The crews of Achilles, Ajax and Exeter didn’t know what to expect either. They prepared for battle. The following is an excerpt a letter from Lieutenant Washbourn, written to a friend on 20 January 1940, recalling 17 December 1939. This object is the original pencil signal sent to HMS Ajax from her aircraft. Tom Hickmott graduated from Nelson College in 1950 and studied agriculture at Lincoln University. Along with a career in agriculture, he and his wife Wendy have spent many days at sea in one of their three boats. Tom retired from the RNZA (Artillery Unit) after 10 years in the Territorial Force. 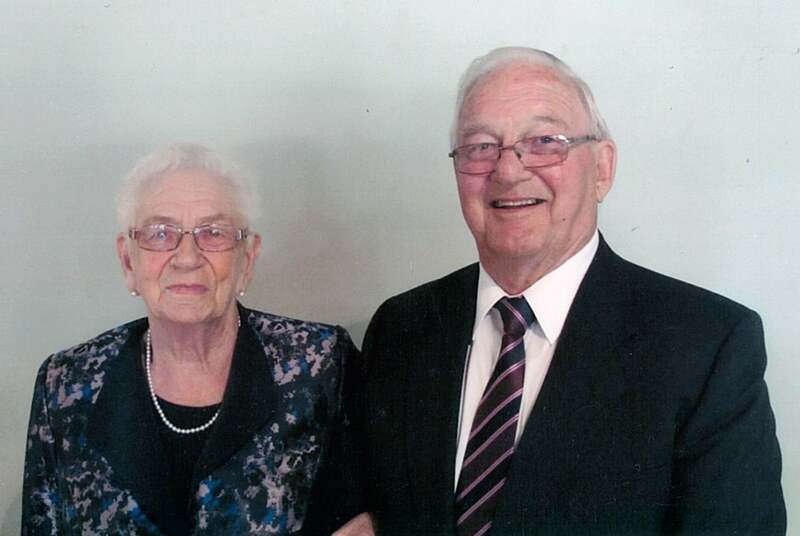 Some of Tom’s other interests include the National Field Day Society, Woodland Trust Historic site and Lions International as district governor 1969 – 70, Ryder Cheshire Foundation and the IHC Society. Today, Tom and his wife Wendy have settled in Remuera, Auckland.